OUR STUDIO IS USED TO SUCCESS. 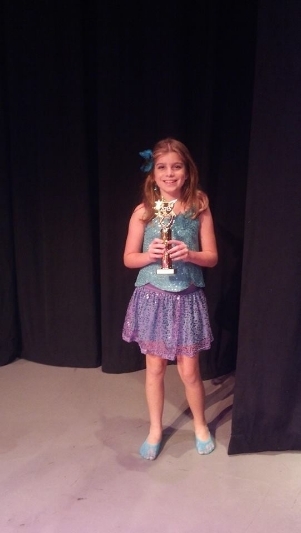 WE TYPICALLY WIN OR PLACE HIGH IN MOST REGIONAL COMPETITIONS, AND HAVE EVEN HAD SOME STUDENTS ADVANCE TO AMERICAN IDOL, BROADWAY PRODUCTIONS, ETC. 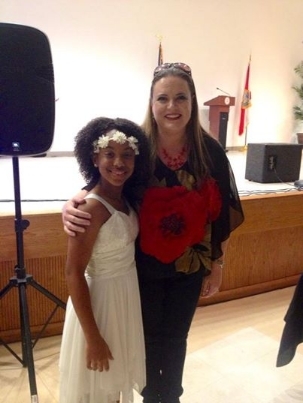 Bianca and vocal coach Petrova Jones. Bianca was asked to open the 'Who's Got Talent' High school show by the Mayor of the City. Luke and his first place trophy for best overall instrumental solo for piano at the Treasure Coast Parenting Show!